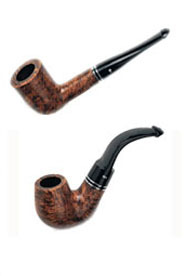 Buy Peterson Spigot Pipes at cheap prices online from Specialist Tobacconist Cigar Connoisseur based in the UK, and all these quality Peterson Spigot Pipes have a band and have a great appearance. China, Germany and Great Britain. Each pipe is red smoth on one side and black rustic on the other. The pipes have dark blue bowls and swirl acrylic effect stems. 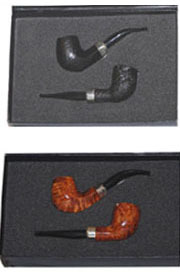 High quality classic series of smooth briar pipes with sterling silver mounts. The name ASHFORD is taken from the medieval Ashford Castle in Ireland. 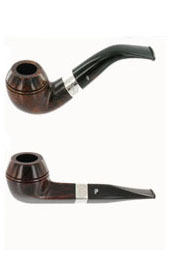 NEW PETERSON PIPES NOW AVAILABLE!! 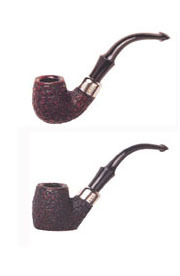 The union of top grade mellowed briar and hallmarked silver combine to make these truly beautiful pipes. Using the highest grade bowls, the silversmith has intricately worked the silver by hand before fitting the cap.From the very outset, the process requires skill, experience and time in equal measure. Buy Peterson Molly Malone Collection Pipes at cheap prices online from Cigar Connoisseur, Specialist Tobacconist, based in the UK and these quality pipes are limited edition and available in a smooth and rustic finish. Buy the Adventures of Sherlock Holmes Pipe Collection Set at cheap prices online from Cigar Connoisseur, Specialist Tobacconist, based in the UK and this limited edition quality pipe set is a collectors dream. 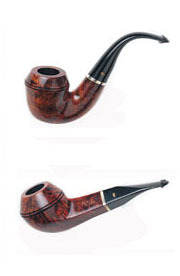 The most successful series of pipes by Peterson was introduced in 1987 to honour the most famous character in fiction - Sherlock Holmes. 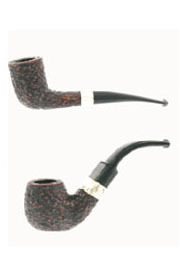 All the pipes have extra large bowls and have a sterling silver band. 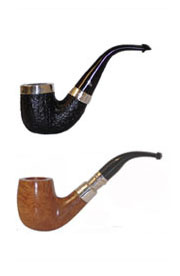 Buy Peterson Speciality Pipes at cheap prices online from Cigar Connoisseur, Specialist Tobacconist, based in the UK and these iclude Belgique Smooth, Tankard Rustic, Tankard Smooth, Calabash Rustic, Calabash Smooth, Barrel Rustic and Barrel Smooth Pipes. 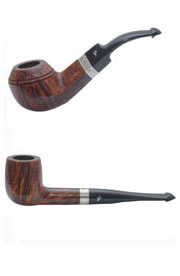 Buy Peterson Fermoy Pipes at cheap prices online from Cigar Connoisseur, Specialist Tobacconist, based in the UK and these quality ebony smooth finish pipes and elegant and easy to smoke. 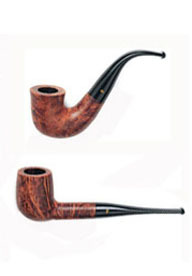 One of the earliest pipe shapes which still remain popular.. 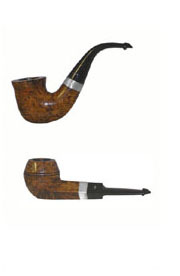 The extra length of the stem ensures a pleasant cool smoke. The shapes are Dublin, D6 and Prince and are available in smooth, rustic, greeen and dark grey. A quality briar with rich grain in a light brown semi-matt finish. This series has proved very popular over the years and is available in all classic shapes. 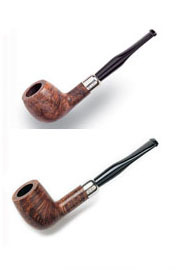 Buy Peterson Kildare Pipes at cheap prices online from Cigar Connoisseur based in the UK and these well made briar Peterson Pipes are popular and can also be bought with a silver band. 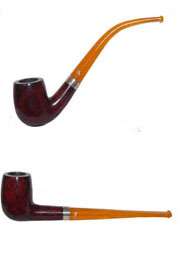 Buy Peterson Killarney Red Tobacco Pipes at cheap prices online from Cigar Connoisseur, Specialist Tobacconist, based in the UK, and with all Peterson Pipes are good value smoking pipes in various shapes made in Ireland. High quality non-filter pipes with silver hallmarked band. 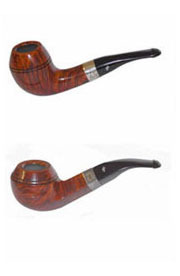 Buy Peterson Antique Smoking Pipes at cheap prices online from Cigar Connoisseur, Specialist Tobacconist, based in the UK, are special tobacco pipes at low prices and great quality made in Ireland. A handsome sterling silver mount graces this distinguished line of pipes for the discerning smoker who expects good quality value. Available in a full range of classic rustic. 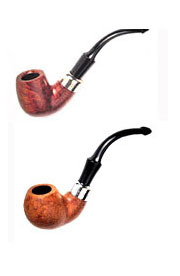 Buy Peterson Harp Tobacco Pipes at cheap prices online from Cigar Connoisseur, Specialist Tobacconist, based in the UK are good quality smoking pipes from this famous Irish Pipe Maker. 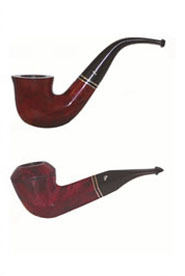 A smooth matt masculine briar available in a full range of shapes. 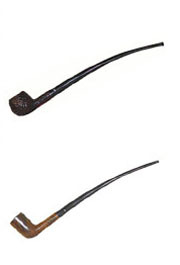 Buy Peterson Irish Made Army Tobacco Pipes at cheap prices online from Cigar Connoisseur, Specialist Tobacconist, based in the UK, are distinctive in their appearance and quality of these low priced Smoking Pipes. 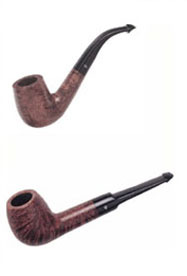 Buy Peterson Kinsale Smooth Tobacco Pipes at cheap prices online from Cigar Connoisseur, Specialist Tobacconist, based in the UK, are a wonderful pipe that is still popular and a good value Smoking Pipe. The pride of a Connoisseur collection. Each Peterson deluxe pipe is made from carefully selected, age mellowed root briar by master craftsmen. The golden brown finish accentuates the beautiful grain together with hallmarked silver mounts. 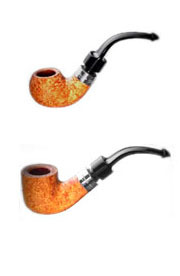 All these good quality briar pipes are fitted with nickel mounts, have a rustic finish, have army style mouthpieces and as a result of the reservoir, moisture is trapped thus allowing for a dry smoke. 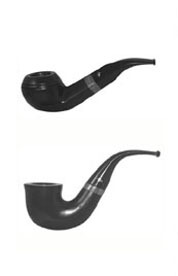 All these good quality briar pipes are fitted with nickel mounts, have a highly polished finish, have army style mouthpieces and as a result of the reservoir, moisture is trapped thus allowing for a dry smoke.